This is the time of year when we start seeing worm populations increase in peanut fields. In fact, not long after my last “Peanut Update” post, I started finding more Velvetbean Caterpillars in peanut fields. The treatment threshold level of foliar feeding worms in peanut is 4 to 8 per foot of row no matter which one it is (armyworm, cloverworm, looper, velvetbean). 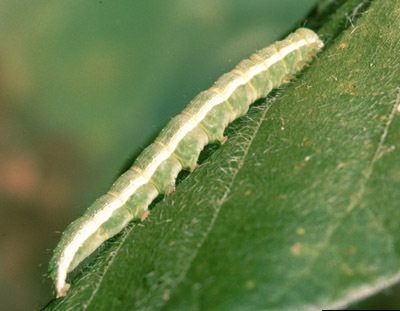 However, properly identifying the caterpillar is important in order to decide which chemical to use. 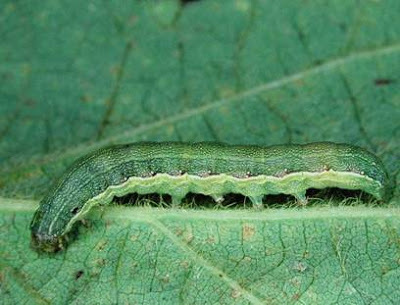 The Velvetbean Caterpillar has 4 abdominal prolegs. 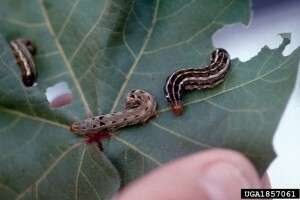 A pyrethroid insecticide will kill velvetbean caterpillars. Pyrethroid insecticides also work on corn earworm. The Green Cloverworm has 3 abdominal prolegs. 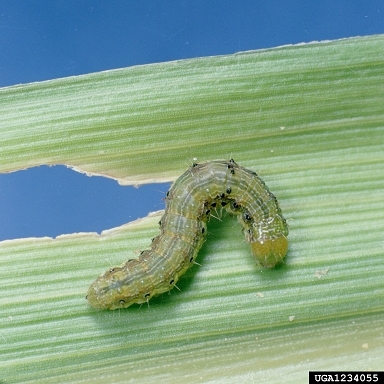 Pyrethroids will NOT control Green Cloverworms. Products such as, Belt, Intrepid, or Spinosad should be used. Loopers have 2 abdominal prolegs. Pyrethroids will NOT work for Loopers. Dimilin, Belt, Steward, Intrepid, or Blackhawk are the recommended options. 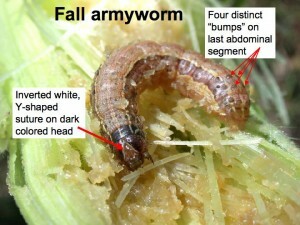 Pyrethroids will NOT control Fall Armyworms. Orthene, Prevathon, Dimilin, Belt, Steward, Lannate, Intrepid, or Blackhawk are the recommended options. Note: Orthene is only recommended for controlling Fall Armyworm. 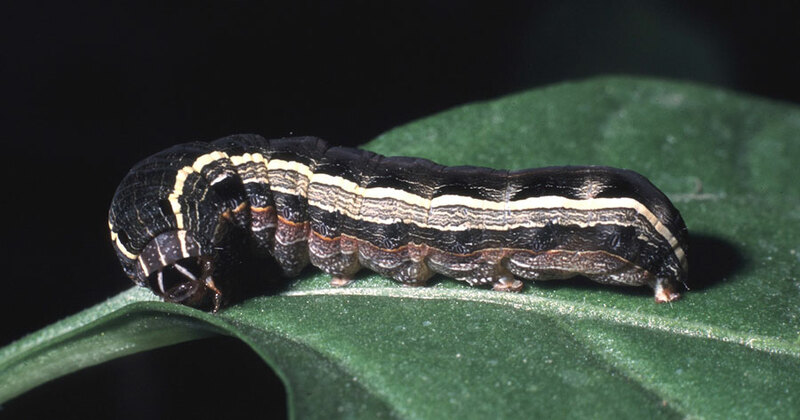 Belt is the only recommended product in the UGA pest management guide for controlling Southern Armyworm . 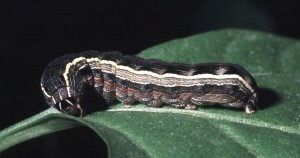 Pyrethroids will NOT work for Beet armyworms. Prevathon, Dimilin, Belt, Steward, Intrepid, or Blackhawk are the recommended options. 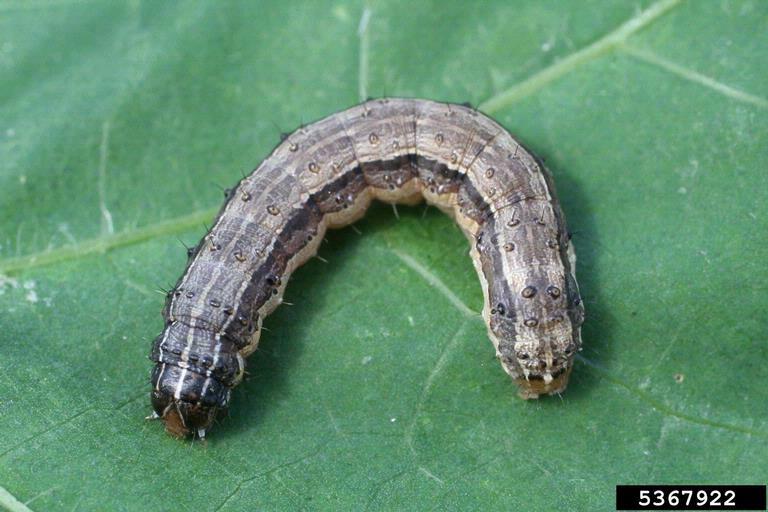 If you’re not 100% sure which armyworm you have, it’s probably best to use a product that kills Beet Armyworms. Those products will work for Falls also. 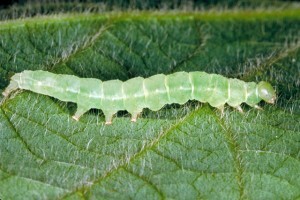 Belt is a product that works on most all worm pest. 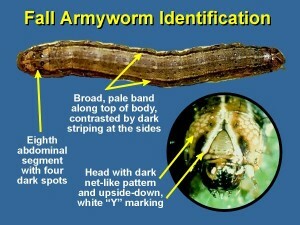 Don’t apply an insecticide if it’s not needed and don’t use a pyrethroid if you’re not certain what the worm is. 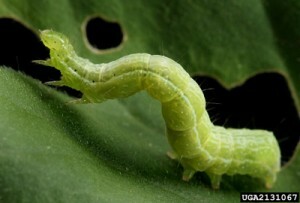 Pyrethroids only control three types of worms we have in peanuts. 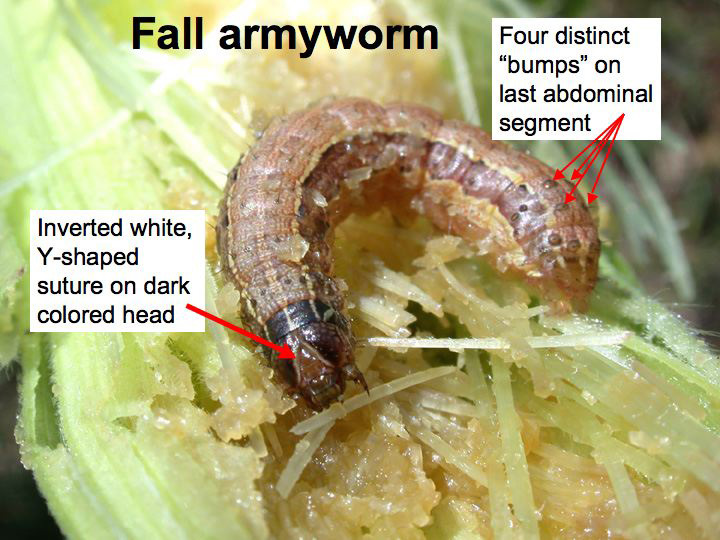 Make sure the worm is properly identified before making a choice on which product to use. If you have worms sensitive and not sensitive to a pyrethroid insecticide and decide to use that product, you will need to be very diligent in checking the field for the worms not controlled. Treat if the population reaches threshold level. Remember: if spider mites are in your field the pyrethroid insecticide will make the situation worse. Fortunately, mites have not been an issue YET in peanut fields this year in our area, but that is something growers need to consider. Pyrethroids are inexpensive but, if it causes a grower to have to make a spidermite treatment, that inexpensive treatment just became very expensive! *The mention of trade names does not imply endorsement by The University of Georgia Extension, nor criticism of similar ones not mentioned.